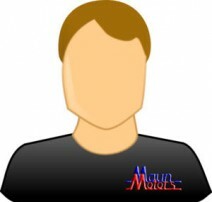 Maun Motors is a family business, established by the current owners, back in 1972. We now have a stock of over 500 vehicles for sale, as well as a separate commercial vehicle hire fleet which is over 800 vehicles strong. We specialise in supplying high quality, late plate, low mileage commercial vehicles of all shapes, sizes and colours. 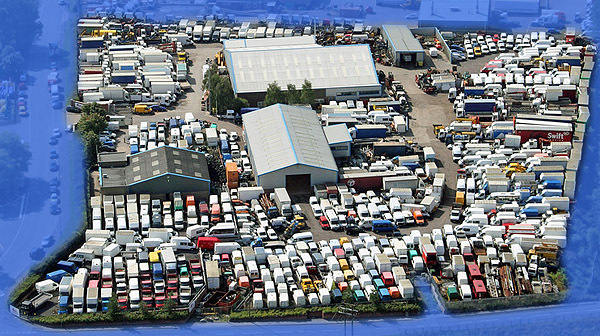 Our range is vast and we often stock hard-to-find vans and trucks of rare specifications. The business was originally started as a small vehicle repairs business offering mechanical and bodywork services in the Sutton-In-Ashfield area. Things took off quite well and within 3 months the business had moved to a small rented yard on Chatsworth Street, Huthwaite, with a car sales pitch able to hold 6 vehicles outside. With just a few vehicles, consisting of cars and light commercials, the original hire fleet was a humble one compared to Maun Motors’ current range; but in 1982 an ‘Autumn Gold’ coloured, ‘X’ registered Transit became the first brand new vehicle to join the Maun Motors Self Drive fleet. New sales pitch premises were bought at Tibshelf in Derbyshire, during the early eighties, as well as an ex-coal board workshop and storage yard at Morton to accommodate the ever-expanding business. Neither of these depots are open to the public any longer. As the Self Drive Hire business grew, it was deemed necessary to move to new, larger premises with workshop and valeting facilities, along with offices and reception. A site on Alfreton Road, Sutton-In-Ashfield was purchased and was used for 17 years, before the company outgrew the premises due to increasing vehicle demand. Since moving to Alfreton Road, outside mechanical and bodywork repairs were slowly phased out of our business model, as our own growing fleet was becoming more time-demanding to manage. 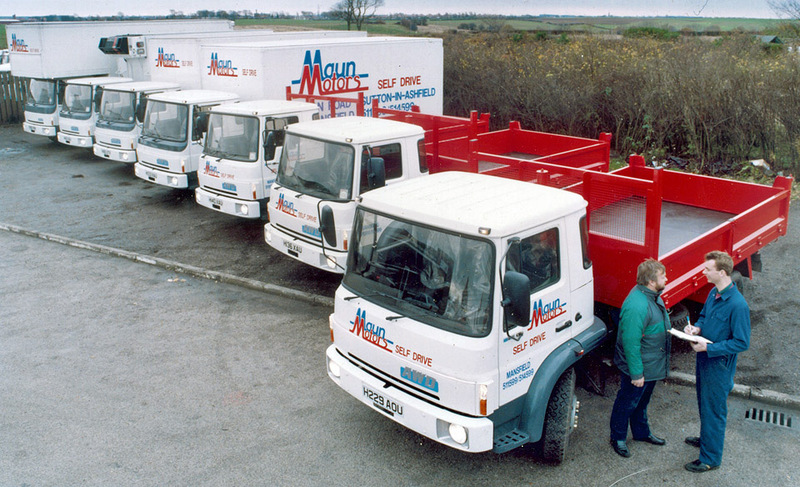 In 1995, the first Maun Motors ‘Muckaway‘ lorry hit the streets. 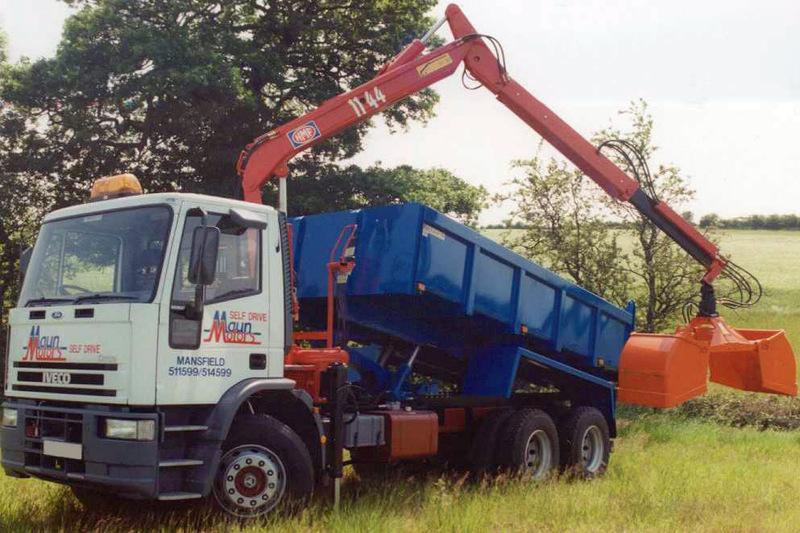 With its 26 tonne GVW, a modern ‘HMF’ loader and heavy duty tipping body, the vehicle was a landmark in the history of the company, marking the time when Maun started to focus on providing to the heavy commercial hire market, particularly crane lorries. With Maun Motors Self Drive now hiring much larger vehicles – many fitted with cranes and other specialist equipment – a purpose-built larger workshop facility was now desperately needed. It was decided a new workshop would be constructed at the Morton site, and the old workshops (still in use from the coal board days) would be demolished. In 1998 the new workshop was fully operational and equipped with top grade equipment and facilities among the best in the UK industry. 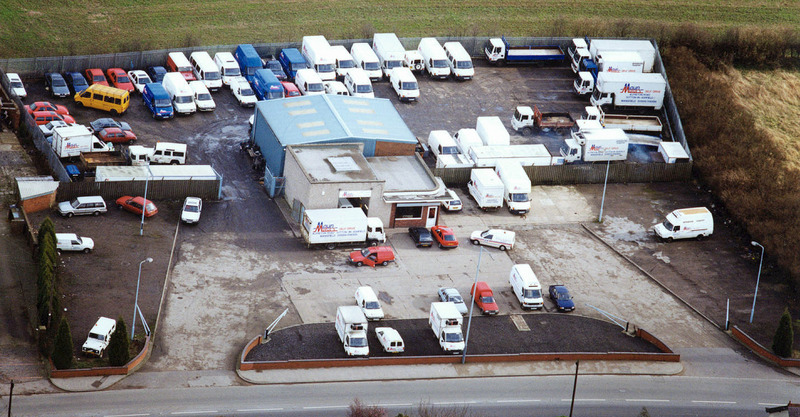 The Commercial Vehicle Sales side of the business also steadily grew and in the early 1990’s a large site was acquired on Common Road, Huthwaite, NG17 2NB. 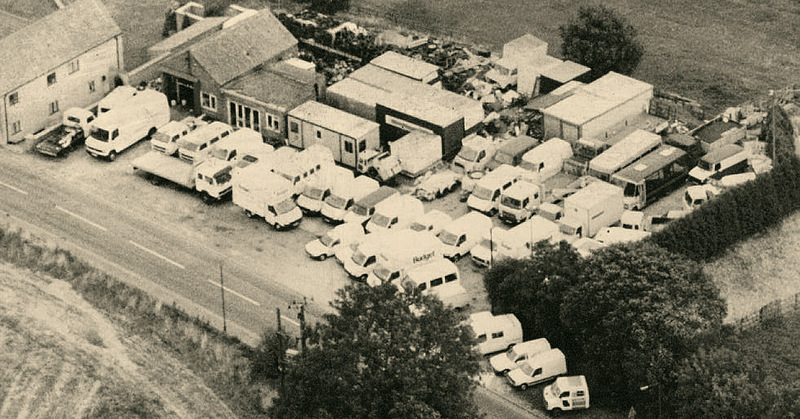 The site is still our used van & minibus sales depot and has a constant yard stock in excess of 250 vehicles on display for our customers to browse at their leisure. Our range now includes several specialist types of commercial vehicles, including Wheelchair Accessible Vehicles (WAVs), Cherry Pickers (MEWPs), Highway Maintenance vehicles, Crew Vans & Kombi Vans, Dropwell Luton Vans, 4×4 Vans, Minibuses, Curtain Sides, Chiller and Freezer Vans and more. Being easy to access from the North & South via the M1 just a couple of miles away, and with good links East and West, our East Midlands location and strengthening reputation meant our customer base spread. 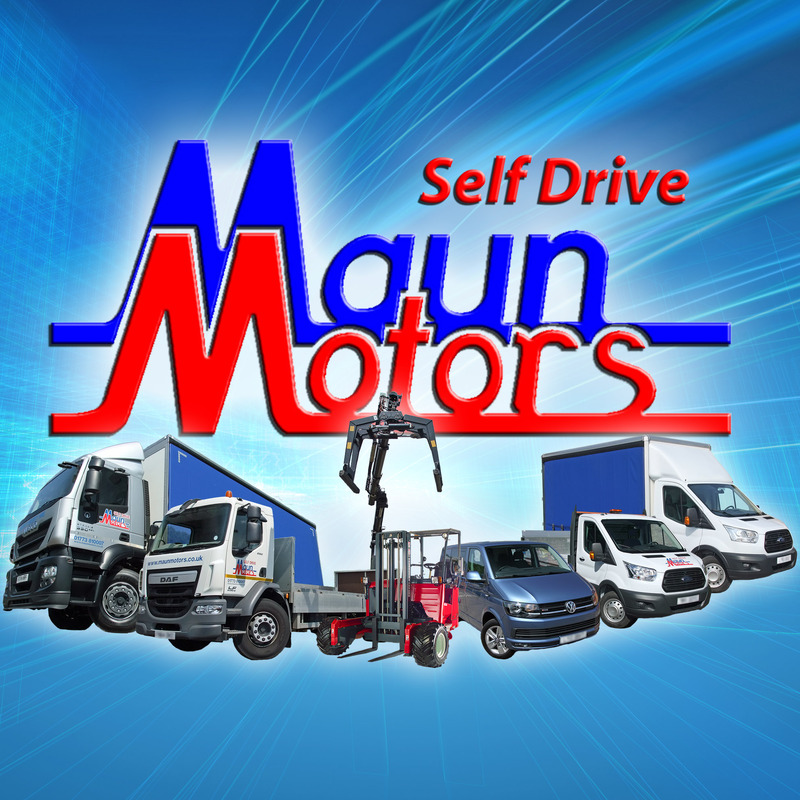 Once Maun Motors became established in the heavy vehicle rental sector, our reputation quickly grew and we became the first choice vehicle hire provider for many “blue-chip” PLCs, utility companies, councils & local authorities. The diversity of vehicles available to hire from us grew and grew, with new vehicle types such as Skip Lorries and Hook Loaders joining our portfolio. Our range of vans, trucks and minibuses is still growing. A new site was purchased in early 2001; at Berristow Lane, South Normanton, DE55 2FH. The site is 7 acres in size, with in excess of 40,000 square feet of quality office and workshop buildings. The plan for the site was to have a hire depot with vehicle storage, body building workshops, valeting facilities, customer parking and workshops for the maintenance of both light & heavy commercials; all on one site! With good access to the M1 and A38 and a central location, this site is perfectly placed to serve our nationwide portfolio of hire vehicles and customers. After many months of construction and improvement work, our new hire depot at the Berristow Lane, South Normanton site opened in December 2001. The old site at Alfreton Road was sold and has since been developed as housing. 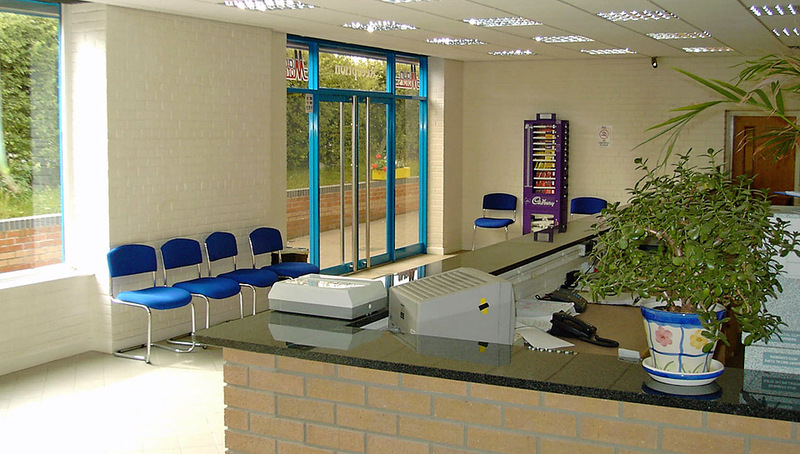 The new Hire Reception area is spacious and relaxing, with ample customer seating, plenty of natural light, wheelchair access, air conditioning, toilets (including disabled toilet), and vending machines. In 2002 we took our first steps into digital marketing by launching our first website, which helped grow our customer base and reputation over a much wider area. Despite serving us well for almost a decade, the old site was out of date, slow and incompatible with modern mobile and touchscreen devices. 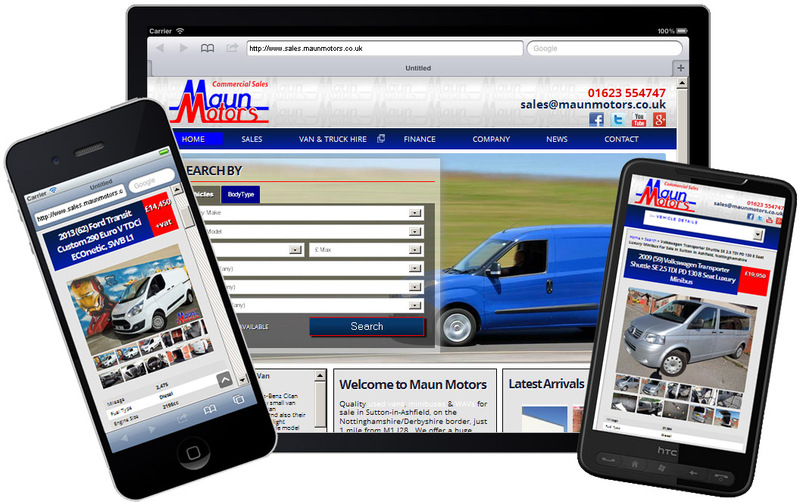 So in 2012 an all-new vehicle sales website was launched at www.maunmotors.co.uk/sales, which was replaced again in 2013 with the current modern, responsive, user-friendly site. During this time, planning and development had begun on the self drive hire website you’re using now , which finally launched in September 2014. As our self drive lorryhire fleet grew, we were often asked whether we supplied vehicles equipped to carry a “Moffett Mounty” – an incresingly popular lightweight forklift which “piggybacks” onto the rear of a specialist lorry or trailer. In the early 2000’s we introduced a small number of 26 tonne GVW curtain-side lorries with Moffett mounting kits installed, which proved extremely popular. Before long we had added the Moffett fork lifts themselves, to accompany our mountable trucks and enable us to hire out a complete lorry & Moffett combination. Since then we’ve expanded our range of vehicles with Moffett mounting kits installed, with 18 tonne curtain-side Moffett lorries, flatbed Moffett lorries, dropside Moffett lorries, flatbed Moffett trailers, curtain-side Moffett trailers and a range of Moffetts including the M8 & M5, all joining our lineup. We now operate the largest self-drive Moffett hire fleet in the UK (confirmed by HIAB Moffett sales data), with one of the most comprehensive ranges of vehicles which will take a lorry-mounted fork lift, to back it up. Increasing customer demands and expectations have meant that Maun Motors has had to constantly evolve in order to supply the needs and exceed the expectations of its growing customer base. 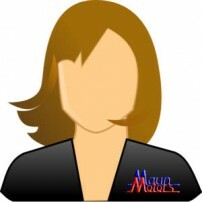 This has led to Maun Motors becoming one of the largest independent Commercial Vehicle Hire & Sales companies in the UK.